Lamarck, 1819, Hist. Natur. Anim. sans Vert. 6: 80, sp. 46. 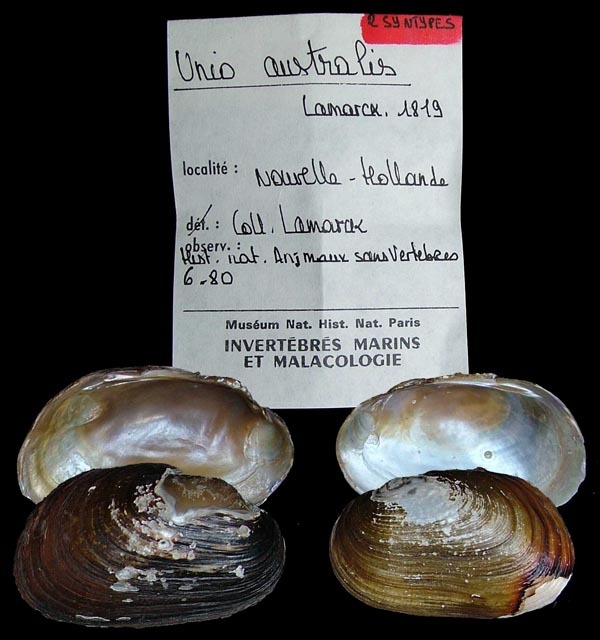 Type(s): LECTOTYPE MNHN_MP_0302, Nouvelle Hollande. ‘Lamarck’ Lesson, 1830, Voy. Coquille 2: 427, pl. 15, figs. 5-5a. 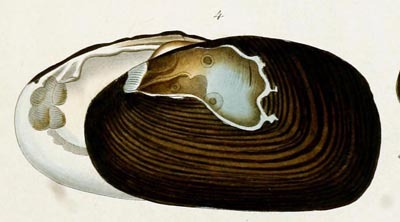 ‘Lamarck’ Philippi, 1848, Abbild. Beschr. Conch. 3: 81, pl. 5, fig. 5. 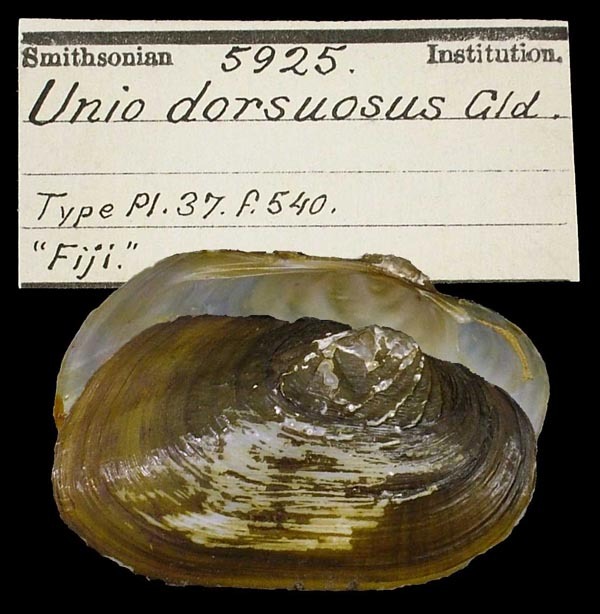 Gould, 1850, Proc. Boston Soc. Nat. Hist. 3: 296. 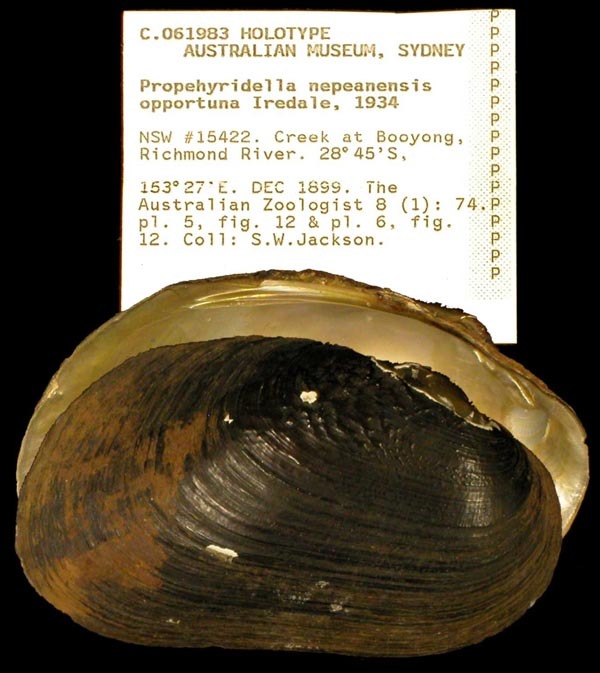 Type(s): HOLOTYPE USNM_5925, [Nepean River, Australia]. Conrad, 1850, Proc. Acad. Nat. Sci. 5: 10. 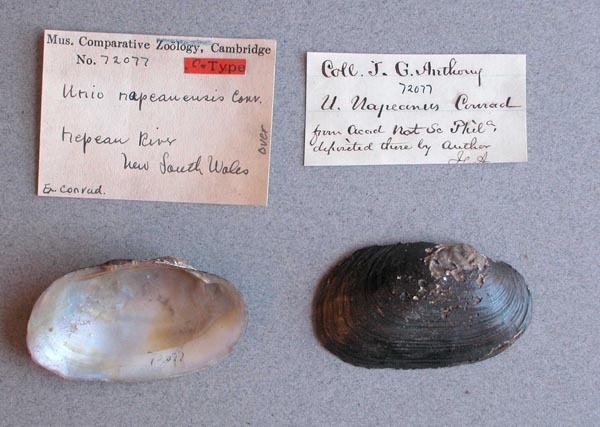 Type(s): PARATYPE MCZ_72077, Nepean River, New South Wales. Conrad, 1850, Proc. Acad. Nat. Sci. 5: 10 [as ‘napeanensis’]. 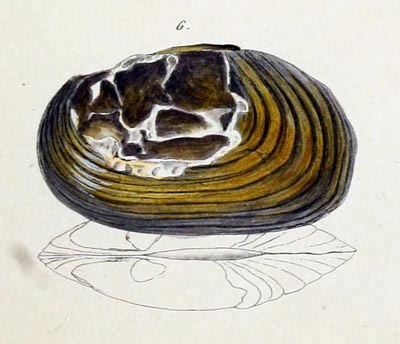 Küster, 1855, Conchyl. Cab. 9(2): 135, pl. 36, fig. 4. 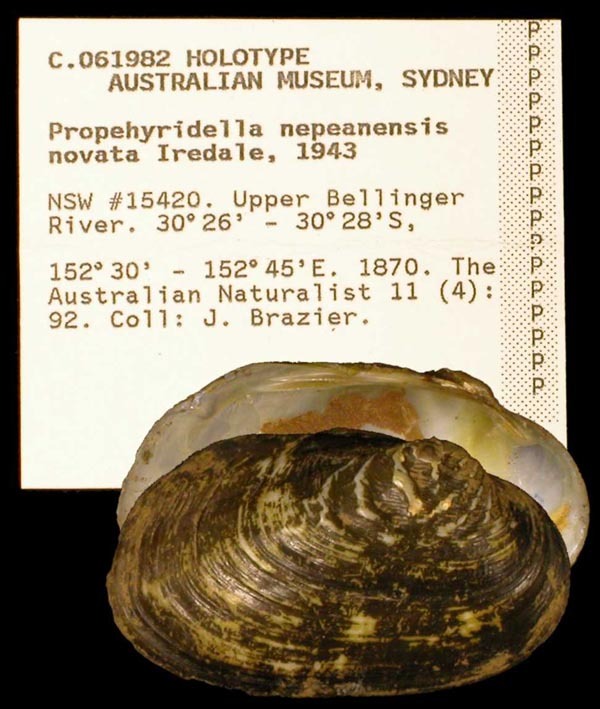 Type(s): HOLOTYPE USNM_85723, N Holland [Nepean River, New South Wales, Australia]. 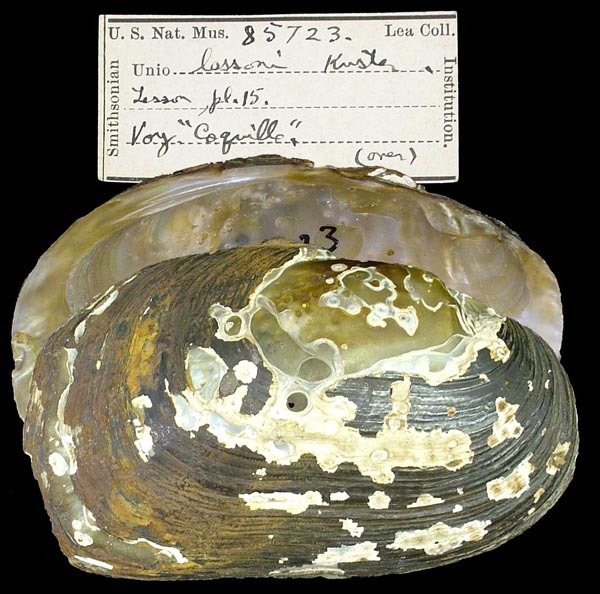 ‘Lamarck’ Küster, 1861, Conchyl. Cab. 9(2): 230, pl. 77, fig. 6. Iredale, 1934, Austral. Zool. 8: 74, pl. 5, fig. 12; pl. 6, fig. 12. Iredale, 1943, Austral. Natural. 11: 92. 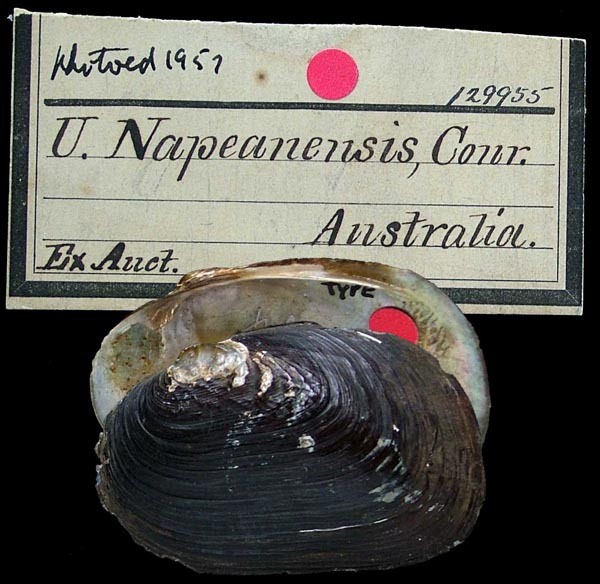 Type(s): HOLOTYPE AMS_61982, Upper Bellinger River, New South Wales, Australia [-30.45, 152.617 ± 100 km].